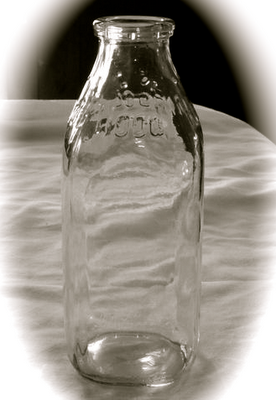 Thanks to Arlene Gouveia's comment sharing a memory of how Hood milk bottles were configured to catch the cream at the top and the special spoon her mother had to get it out. I found this photo on E-Bay (they are selling one for $44!) so here it is in all its glory. If regular milk was not for you in those days, there was local Village milk. Yes, there were cows in the Village. What is a Village without cows? 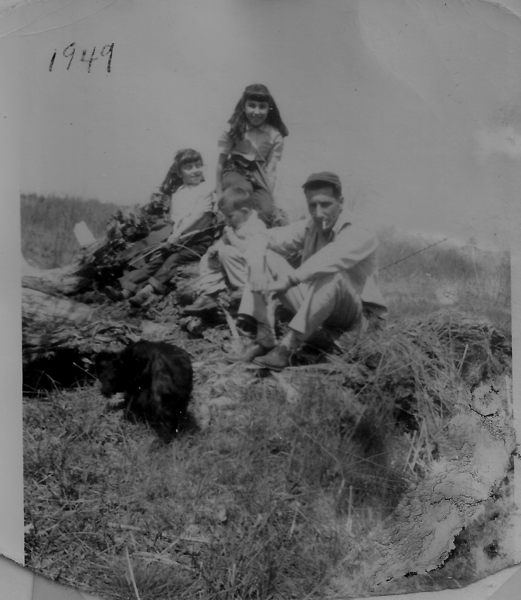 Speaking of milk and Arlene Gouveia here is a great story she recounted in her Memories of the Village, a collection of stories from her parents and friends and her own memories. Each day in the late afternoon, up from Longmeadow Road and their pasture at Jerry's Farm would come tall and stately Mr. John Seimas leading his small herd of cows through Braga Square to the barn at 44 Floral Street. The lead cow had a bell around her neck and I can still hear the soft ring as they made their dignified and slow way home. For awhile in the Village there were two herds so an agreement had to be made not to incur a "cow jam". Mr. William Rosa coming home to 204 School Street would come through the square at 5 p.m. following Mr. Seimas at 4:30. Cars knew to settle down patiently and wait. But, then there were fewer cars. stop on the delivery route. (memories of Emma Andrade,Jeannette Nascimento and Joseph Rose). I well remember Mr. Seimas coming home with his cows walking with a large staff to gently coax them into the right direction if needed. But, I can still hear the sound of their bells and slow plodding hoof beats on the pavement. If anyone has a photo of that event in the Village, please share it with us? This is an old photo of my sister Kathy, my brother Frank and I with our Dad down at a creek pool where we used to wade around the area of Jerry's Farm on Longmeadow Road. I could not find a photo of the cows evening walk home but did find a nostalgic video on You Tube which, if you close your eyes or think of pavement instead of a the dirt road, could be down at the Village. Of course, we had no lovely mountains either...or goats that I can remember. But, you will still get the feeling, that is what counts. Click on the ad on the video to eliminate it quicker then enjoy these peaceful moments. Mr Semas was my sons Great Grandfather. a very hard worker that brought up 21 children. Great Grandma Semas was always baking bread or cooking. The boys have over 52 cousins. In those days they even drank unpastureized milk. Everything was organic. Pure milk. I really enjoyed the video Botiza-the cows come home.I saw where it was filmed in Romania.My son John and his wife were invited by their friend to spend two weeks in Poland on her family farm.They went in the summer 2010. Last week all three were on a local access program FYI to discuss their trip.John began the video with the cows coming home.It reminded me so much of the video Botiza.People who watched it just loved the cows. It reminded me so much of Semas'cows.I was talking to someone who lived on Winter Ave. Whenever he heard the cow bell,he would rush to the corner to watch the cows go by. It was our own parade and we loved it. I will be sending you a CD on my son's trip to Poland You'll love it! Nice to hear from Village family especially in response to one of the posts! !